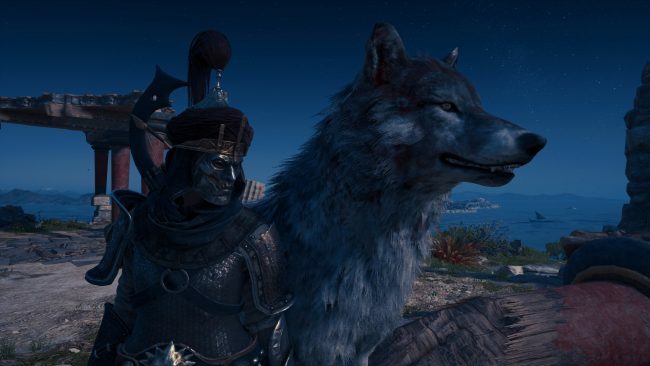 Assassin’s Creed Odyssey is a massive game with countless areas to explore and even more enemies to assassinate. One of the best things about Odyssey is that it doesn’t hold your hand and lets you explore and fail at your own pace. 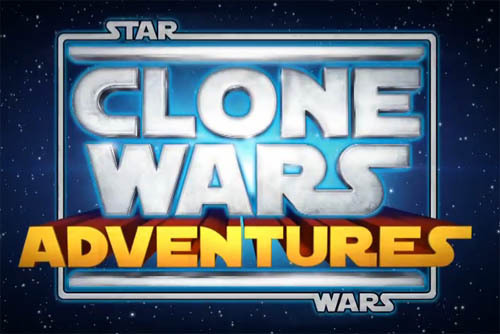 That being said, there were many things I wish I knew before I was hours into the game that would have made my early hours with the title even more enjoyable. 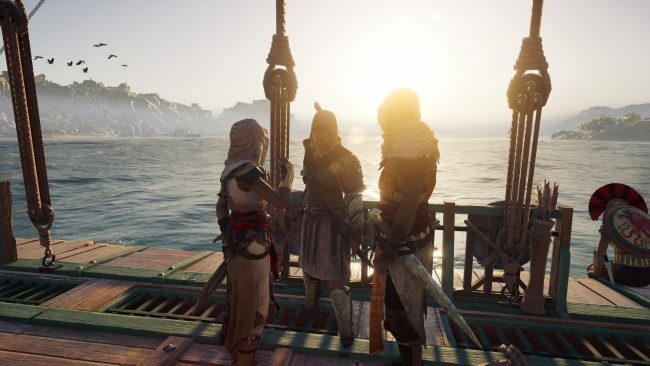 Free Love: To my knowledge there is little to no penalty for having multiple romances in AC: Odyssey, and, if you’re crafty you can even convince a number of your lovers to join you as lieutenants of the Andrestia . Currently I have three of my lovers on board and ready for further adventures at sea. Honestly, it’s incredibly refreshing to have supporting characters from the narrative on board your ship and ready to aid you in battle when the time comes. The good news is that I have yet to have my exes confront me awkwardly in front of the crew. I love you all the same… I swear! Extra Skill Wheel: If you’re anything like me, you’ll probably be wishing for an additional skill wheel as you unlock more abilities. Hang in there! As you progress into the story and upgrade your spear, you’ll eventually gain access to four more ability slots which you can fill with the abilities of your choice. That being said, I find switching between the two sets a bit clunky mid-combat so I personally one wheel for warrior abilities and the other for assassination. I am also old and slow. Get Pretty: While there is a tool-tip that mentions this, I apparently missed it for over ten hours. Like World of Warcraft, you can now modify the look of any of the gear you’re holding to look like past gear you’ve picked up along your adventures. That means, if you want to look like a Spartan solider, but want your gear to have stats that increase your Assassin skills, you can do it simply with a few button clicks from the inventory menu. For fans of collecting loot, this is a dream as it allows players to easily tweak out different suits for different occasions based on the mission at hand. Legendary sets can also be equipped with a single button press. 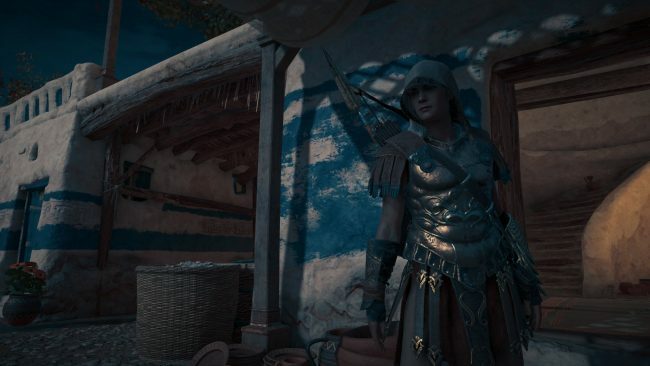 Real Consequence: AC: Odyssey can be dark and really shows off the fact that life in the Classical Age was pretty rough for most people. The branching dialogue system gives you the ability to make some challenging choices along your adventure, some of which can lead to the tragic death of NPCs. On one early mission I attempted to rescue and family being held hostage by local thugs, and, after refusing to choose which hostage to save, I lost them both, leaving their young children as orphans. For the first time in the history of the franchise, the side quests have weight and consequence and it feels great. Don’t even get me started on the poor orphan girl who was so lonely that she made friends out of mud… so dark. Engrave for Success: The elite enemies in Odyssey often have so many hit-points that early in the game it’s nearly impossibly to eliminate them with a single assassination attempt, making staying hidden inside of an enemy compound incredibly challenging. The good news is that as you progress you’ll unlock a variety of engravings that you can apply to your weapons and armor which all stack. This means that if you have multiple pieces with +10% crit damage, you can eventually end up doing enough damage to take down even the heartiest of targets with a single blow. Hang in there, collect engravings, and eventually you’ll be back to your old Assassin self. Be the Misthios: I spent a few hours in the beginning of the game wondering which side to choose in the Peloponisan War, Athens or Sparta, and while you can choose a side, you really don’t have to. 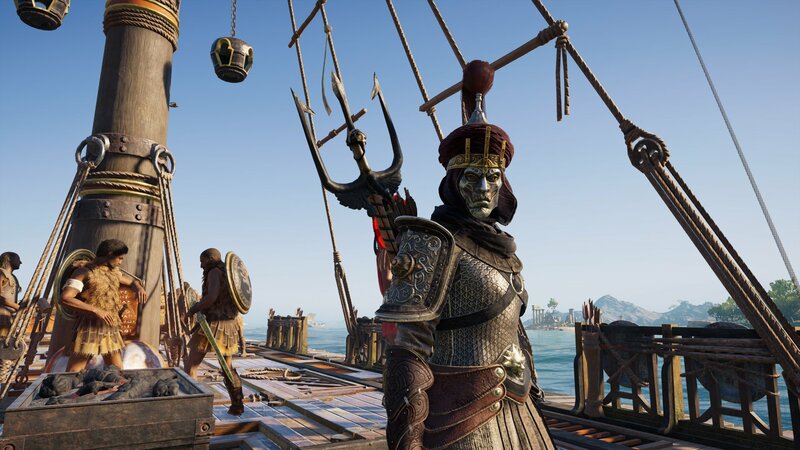 Odyssey has no real “honor” system, meaning the only penalty for killing most Athenian and Spartan soldiers is the bounty placed upon your head (which can lead to some great loot and better fights). This means that you can be as murdery as you’d like and eliminate an entire camp of Spartans with no “global” knowledge of your misdeeds. While there are some choices with the factions tied to the game’s main narrative, you’re free to kill whomever you like in the game world with very little consequence. I tend to side with Sparta despite the whole “throwing me off a cliff” thing that they did. So there you have it, I’m currently about 35 hours into Odyssey and it may be my favorite Assassin’s Creed game to date. With branching dialogue choices, killer VO, a fantastic combat system, excellent loot and a memorable cast of supporting characters, it’s an Odyssey I’m not eager to finish anytime soon.